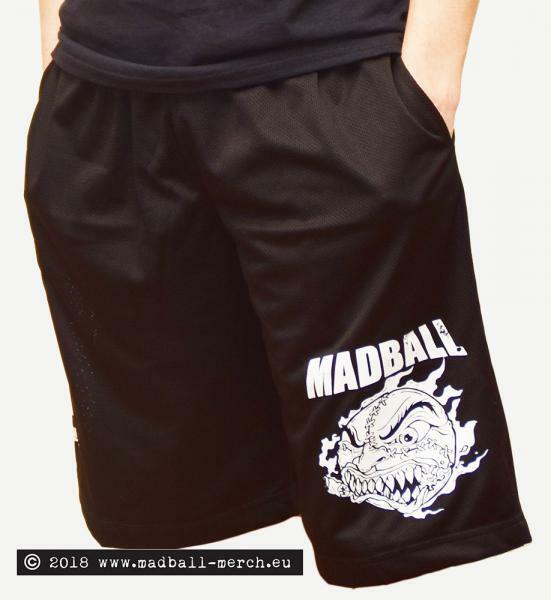 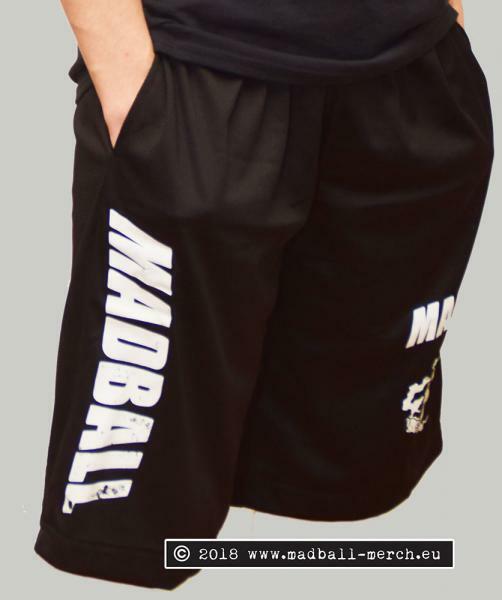 Madball Mesh Shorts with the print in white, have this typical old school look and keep your leg tattoos and/or socks visible. 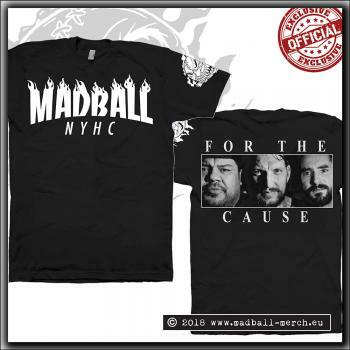 Moshpit proof. Build Your Brand offers these lightweight athletic shorts, featuring cool, breathable mesh fabric that provides instant "air conditioning", super-smooth mesh lining goes easy on your skin, and an elastic waistband with an inside drawcord for an adjustable fit. 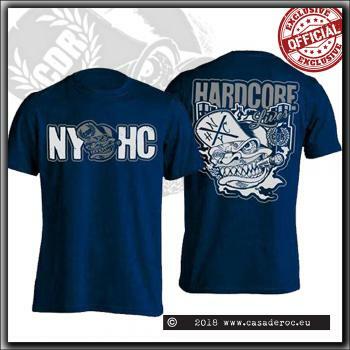 Easy wearing comfort guaranteed; convenient for sports, leisure and of course any moshpit.